It doesn’t matter if you’re simply a novice or a seasoned pro; this exclusive collection of original Wimbledon inspired wallpaper is sure to serve up a grand slam whilst delivering unique design and bold colour. 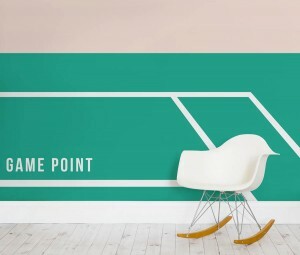 The fun yet refined designs provide any tennis fan’s home with high impact décor. The wallpaper murals, which are designed and sold by Murals Wallpaper, utilise cutting edge digital printing techniques and one of a kind graphic design. 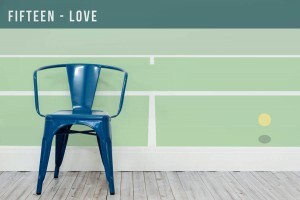 The prints can then simply be hung just like normal wallpaper. 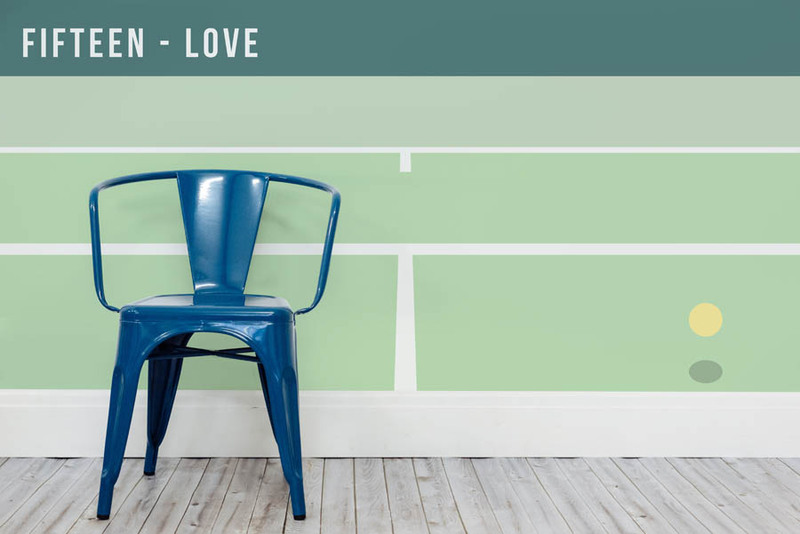 The team at Murals Wallpaper combined vivid colours and clean court-side inspired lines – with the addition of some tennis lingo – to create a unique collection which remains fun yet highly sophisticated. Paying homage to Britain’s most famous tennis tournament has never been so stylish. All prints are custom-sized, made-to-order and priced at £23.50 ($35) per square metre with international shipping available. « The Benefits of Underfloor Heating!